Style by Three: PARFOIS IS KILLING ME! Too many hours lying in bed could only end up like this: online shopping! Parfois has such a beautiful shoes collection! I'm looking forward to get well, get out of bed and grab those panttern flats, I think they're beautiful! What is your favorite pair? Lots of kisses! Demasiadas horas deitada só podia dar nisto: online shopping! 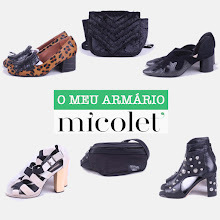 A Parfois está com uma colecção de sapatos linda! Estou ansiosa por ficar boa, saltar da cama e agarrar as sabrinas tigresa, acho lindas! Qual é o vosso par preferido? Muitos beijinhos! Sandals and black suede boots are really nice!